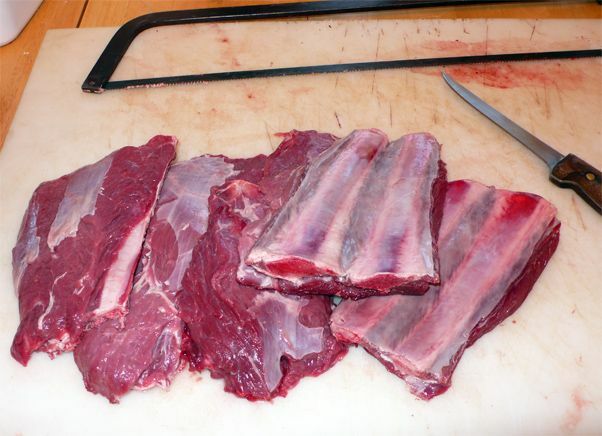 Nothing wrong with elk ribs. 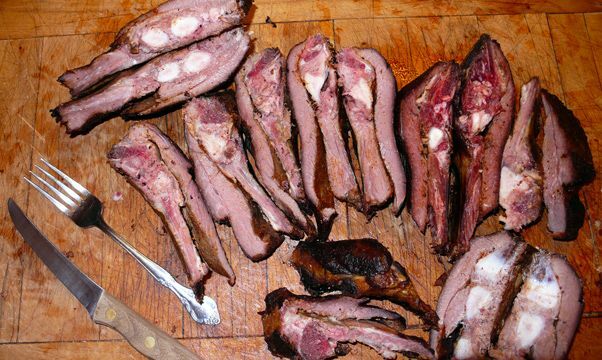 If I get a calf, or an adult elk close to the road, I save the ribs. 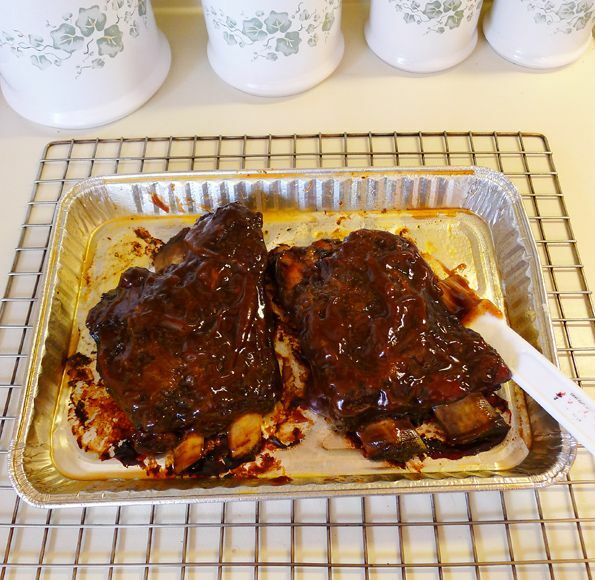 I finished the ribs in the oven; basted in BBQ sauce for 4 hours at 195°. What little wild game fat I didn't trim away, melted off. 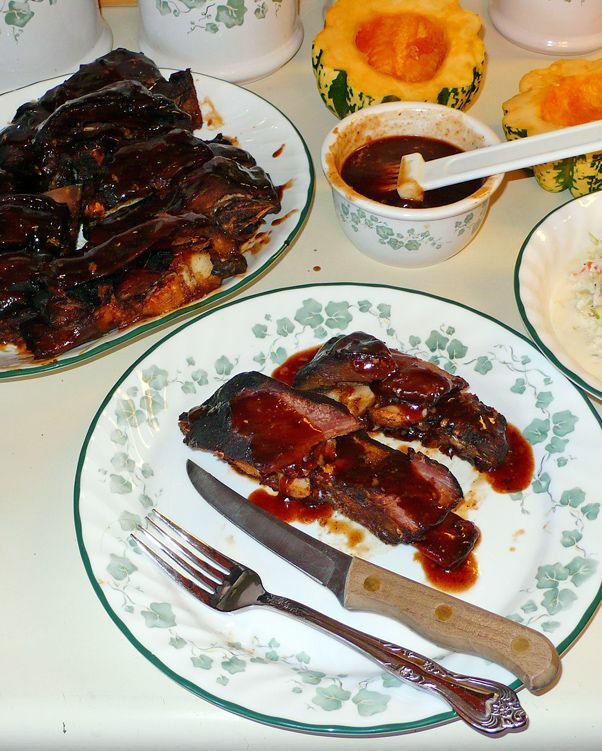 Before serving, I brushed on a fresh slobbering of hickory-flavored BBQ sauce and warmed them up in the microwave. 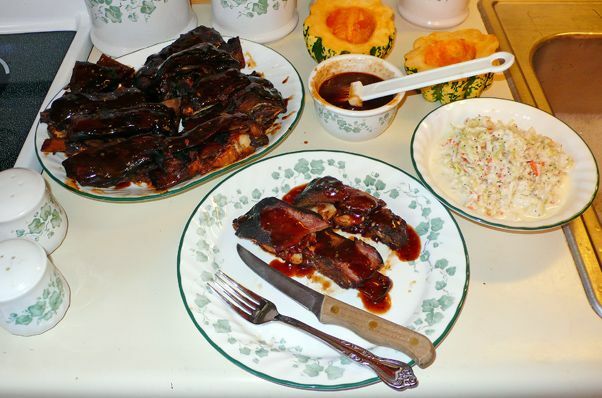 Served them with fresh squash and home-made coleslaw. 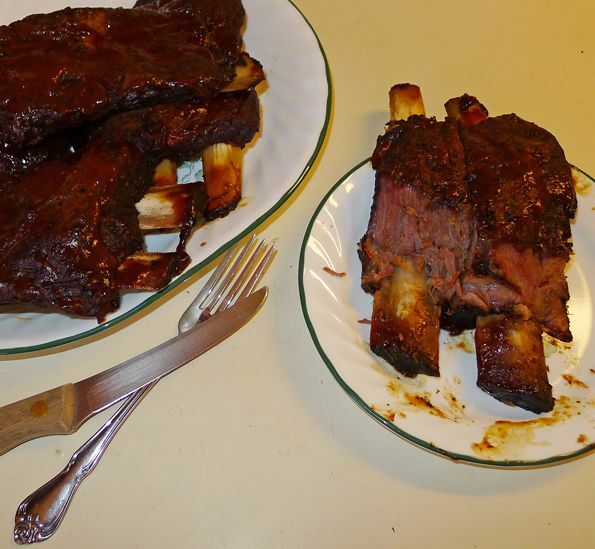 They are smokey, fall-off-the-bone, fantastic! 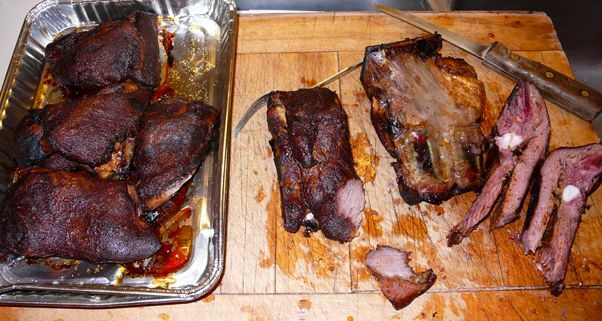 Took the ribs in the photo above out of the freezer and cooked them in the smoker. 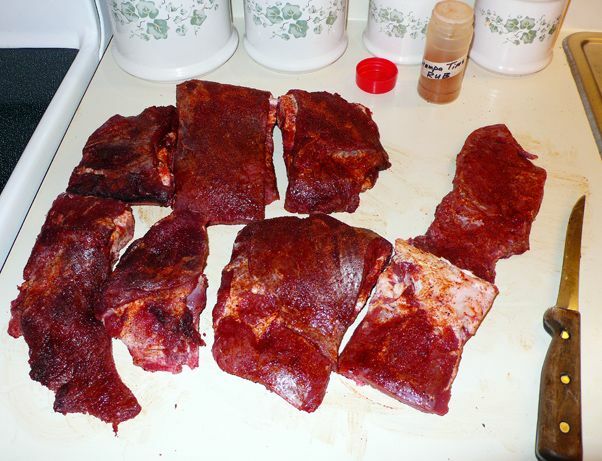 Smear oil on the ribs and add a little rub. Cook at 200° for about 4 hours, a couple pans of sawdust is plenty of smoke. Then add your favorite BBQ sauce. Cover in foil and cook for another 3 hours. They're really good. Give it a try this hunting season. 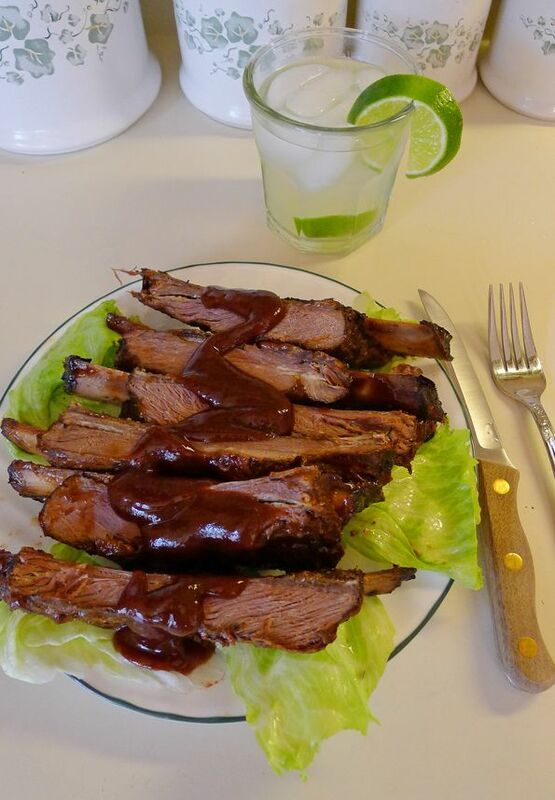 Good looking ribs. what's the drink? I like it!! Going on a cow elk hunt this December in New Mexico. I think I might have the meat processor wrap the ribs for me this time. 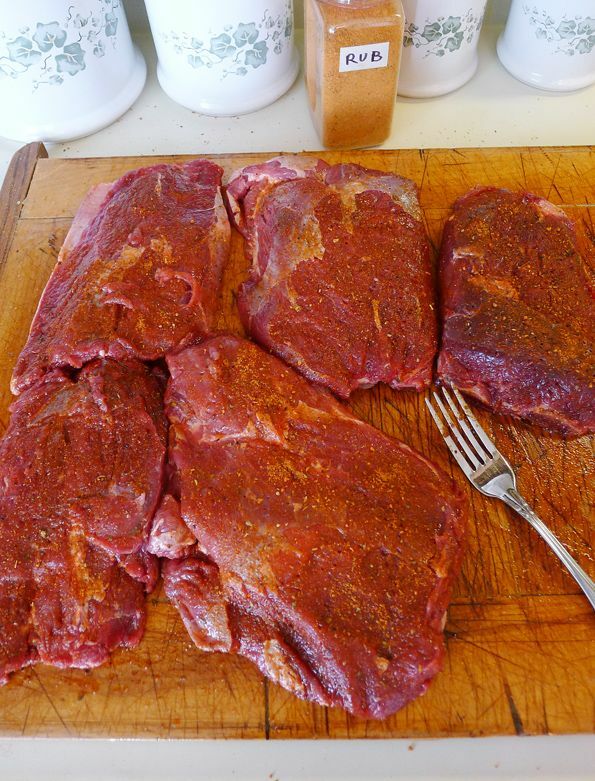 I ususally just get all the meat processed without any bones in it. Thanks. The drink is just water and lime.